Originally printed on January 11, 2016. WOOD Peacefully at ARI, on Monday, January 4, 2016, Connie (nee Calder), aged 87 years. Beloved wife of the late George, a dearly loved mum, nan, great nanna and sister. 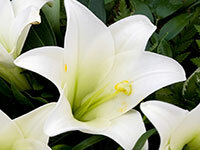 Funeral service at Aberdeen Crematorium, Hazlehead (East Chapel), on Thursday, January 14, at 10.50 am. All friends respectfully invited.